As mentioned, with your initial investment when buying a franchise, there’s a lot included. You won’t have to do any selling. We go out and get you the accounts and then offer them to our franchise owner-operators. That allows you the flexibility to choose the accounts that work for you, based on your location and the timing of the account. This offers a great opportunity for growth. You don’t have to worry about how to build your business because the account offers will be there, and the marketing is covered as well. You don’t have to work to market and brand a new company. You’re receiving a brand that is built and a business model that has proven to be successful. Our minimum investment is roughly $3,000, however we offer a wide variety of investment options. You will be able to review all of this information with JAN-PRO Quebec City when you have your first meeting about franchising. Once you meet with the local office, you’ll be able to learn all the details about the business and have all of your questions answered. Once you’re ready, it’s time to sign up! Upon sign up you will quickly be put into our extensive five-week training program. Here you’ll learn the technical training of the cleaning and all the equipment you’ve recently received in your kit. The training and equipment kits are not an extra charge, they are included in your initial investment. Are you interested in a franchise in Quebec? 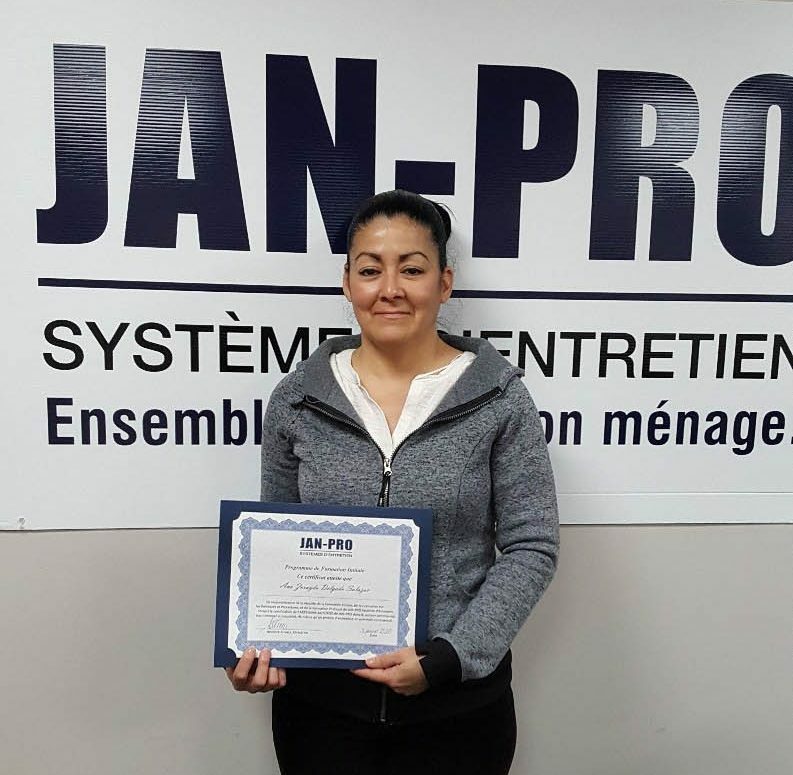 Call JAN-PRO Quebec City today at 418-527-1400 to get started!